That's up from 18 when the app was announced this June, Apple informed Re/code. The company hasn't released a full list of publishers, but some previously-confirmed names include the New York Times, The Guardian, ESPN, and The Atlantic. Publishers are allegedly interested in News for several reasons, one being a policy that they will get to keep all revenue for the ads they sell, and 70 percent for any backfill spots sold by Apple. Analytics firm Comscore will also be able to track News article views, essential data for publishers wanting to sell ads. 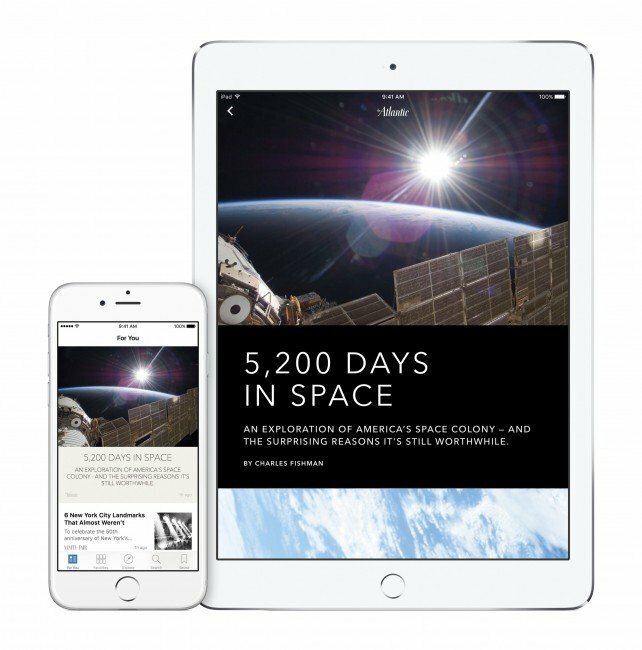 At the same time, News will reportedly provide a haven from iOS 9's content-blocker support. People who install blockers will be able to remove most or all ads from Safari, which has caused concern that ad revenues could drop still further in a market already hurting from desktop ad-blockers. Both iOS 9 and News will probably launch in mid-September. Apple typically releases a new version of iOS ahead of new iPhones, which this year are expected to be shown at Sept. 9 event and ship on the 18th.